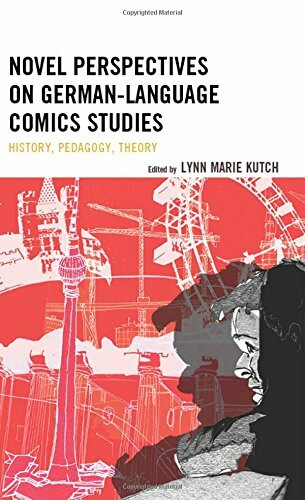 Novel Perspectives on German-Language Comics Studies: History, Pedagogy, Theory gathers an international team of contributors from two continents whose innovative scholarship demonstrates a regard for comics and graphic novels as works of art in their own right. The contributions serve as models for further research that will continue to define the relationship between comics and other traditional “high art” forms, such as literature and the visual arts. Novel Perspectives on German-Language Comics Studies is the first English-language anthology that focuses exclusively on the graphic texts of German-speaking countries. In its breadth, this book functions as an important resource in a limited pool of critical works on German-language comics and graphic novels. The individual chapters differ significantly from one another in methodology, subject matter, and style. Taken together, however, they present a cross-section of comics and graphic novel scholarship being performed in North America and Europe today. Moreover, they help to secure a place for these works in a globalized culture of comics. This volume’s contributors have helped create a new critical language within which this rapidly expanding medium can be read and interpreted.